Leyland all rounder Luis Reece helped write a new piece of Lancashire cricketing history in the Second XI game against Worcestershire at Southport on Thursday. Reece, aged 18, shared a sixth wicket partnership of 231 with Steven Mullaney and helped establish a new record sixth wicket stand for the county's Second XI. Both batsmen made their highest scores in Second XI cricket. Mullaney, aged 22, who hit his first Second XI century against Durham at Todmorden last week, made a splendid 207 of 209 balls. 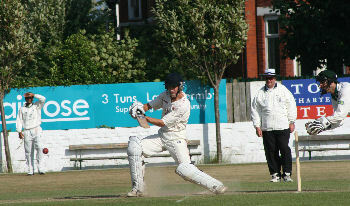 Mullaney plays his club cricket for Bootle CC. Reece passed his maiden Lancashire Second XI half century and went on to reach 91 before he was caught sweeping just before the close. 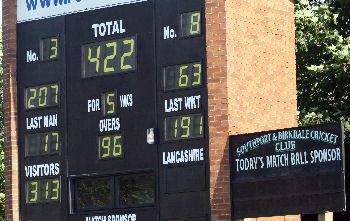 After the visitors posted 313 in their first innings, Lancashire replied with 494 for 9 on the second day of the three day game. Reece and Mullaney came together shortly before lunch with Lancashire 191 for 5 and added 151 in the second session of the day. Mullaney was eventually stumped to leave the Red Rose county 422 for 6 with Reece 63 not out. 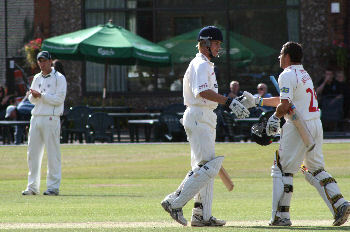 Reece then took command and looked set for his maiden century for the county until his dismissal. In splendid bowling form for Leyland recently, Reece will be hoping to take his good form into an important weekend for the Fox Lane side. After facing Fleetwood on Saturday Leyland travel to Liverpool Competition side Ormskirk on Sunday hoping to book their place in the last eight of the ECB National Club Championship. Reece took a five wicket haul in Leyland's victory over Lytham in the last round. After playing with Blackpool CC, Chorley based Reece joined Leyland in 2009 following a winter playing club cricket in Brisbane, Australia. 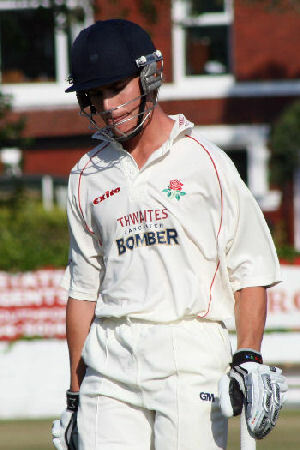 He is a member of the Lancashire Academy squad and has played regular Second XI cricket in the last two seasons.